Welcome to Stairlifts of Louisiana! We are happy to offer affordable mobility options to our neighbors and residents of Louisiana. Stairs aren’t for everybody, which is why we offer residential elevator installation. Give us a call at anytime (504) 715-6658! Residential elevators and lifts are safe and well-designed solutions that give people with limited mobility access to all parts of their home without the physical risks of going up and down a staircase. Stairlifts of Louisiana can help you with options if you are in the market for a residential elevator lift in Louisiana. Here at Stairlifts of Louisiana, we have seen residential elevators and stair lifts improve the quality of life for many of our customers. People with limited mobility can access all areas of their home by using residential elevators and stair lifts to move safely and securely from upper floors to the ground floor. We are excited to provide this option to you and help you appreciate all the areas of your home again! 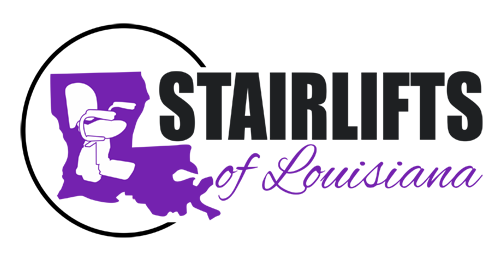 We are proud to be the top stair lift provider for our Louisiana clients. The reason is that we strive to give you the best overall value for your residential elevators and lifts while giving you an affordable price. We’ll even give you a free estimate before we get started so there are no surprise fees for construction or liabilities. We are licensed and insured. Our installation technicians are certified, experienced, and extremely professional. You will receive the highest level of customer care and satisfaction in our work, every time. Customers also love that we are able to come up with a customized solution for each home. We have a variety of options to serve you. Our technicians can install stair lifts, ceiling lifts, wheelchair lifts, scooter lifts, or even elevators, depending on your need. We will come out and inspect your stairs and your home for the most ideal placement of a lift or an elevator and provide you with a free quote before we begin any work. There’s no obligation and no pressure. You choose only the services you want. For more information, give us a call at (504) 715-6658.